After finishing the harvest of apples, farmers take some rest after clearing their orchards. During this leisure time, I visited a farmer who has always shown us his farming procedures. With the severe cold weather here, most people naturally use heaters, while most apple farmers use a wood-burning stove at home. One of the reasons is the supply of wood and branches they get from the pruning, the first work of apple cultivation of the year. The use of pruned branches helps to save fuel cost, which is more economical. 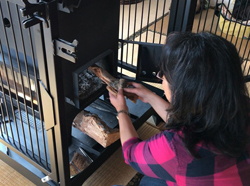 The farmer I visited this time uses a wood stove with a built-in oven. They seem to enjoy the winter living by making pizzas and baked apples. 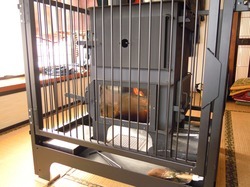 There is an oven on top of the wood stove and it burns woods in the bottom part. It heats up the room and cooks at the same time. 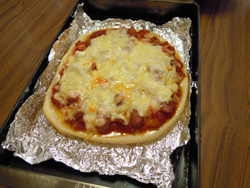 The wife made us a home-made pizza and baked apples using a Dutch oven. 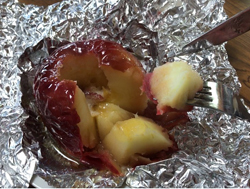 The pizza was genuine and tasty, and the baked apples were cooked soft and served hot and juicy. They said that baked sweet potatoes are moist and delicious. They instantly warmed up the room while cooking. The room temperature reached 30 degree C, partly due to the fine weather that day. I suppose that the family had a calm New Year holiday with delicious food, sitting around the wood-burning stove in the house, despite the severe cold weather outside. This is how they prepare for the next farming cycle.